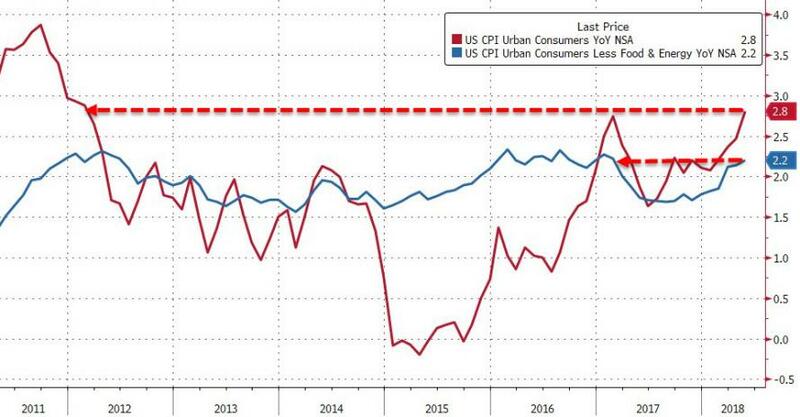 Core CPI also rose to +2.1% YoY (as expected) - the highest since Jan 2017. 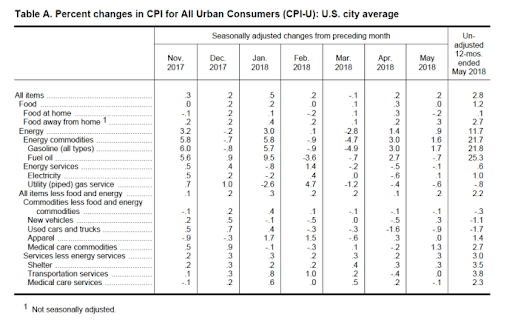 The indexes for new vehicles, education and communication, and tobacco increased in May, while the indexes for household furnishing and operations, and used cars and trucks fell. The indexes for apparel, recreation, and personal care were unchanged. The medical care index increased 0.2 percent in May, with the index for prescription drugs increasing 1.4 percent, the index for hospital services increasing 0.5 percent, and the index for physicians’ services increasing 0.1 percent. The new vehicles index increased 0.3 percent in May, while the index for motor vehicle insurance increased 0.4 percent after falling 0.2 percent in April. The indexes for tobacco and for education and communication also increased. 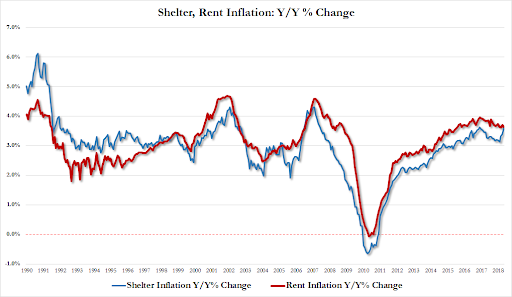 The index for all items less food and energy rose 2.2 percent over the past 12 months, after increasing 2.1 percent in the 12 months ending March and April, and the medical care index rose 2.4 percent. Indexes that declined over the past 12 months include those for new vehicles, airline fares, used cars and trucks, and communication. 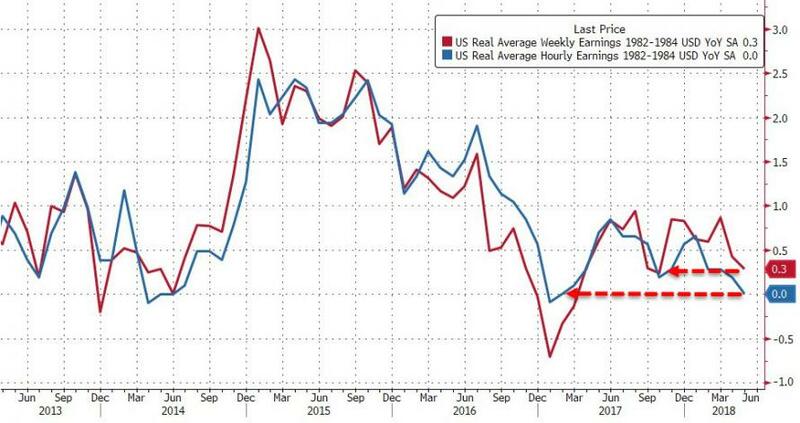 Real average hourly earnings were unchanged YoY - the weakest since Feb 2017.